Papal resignation Explainer: Is Benedict still infallible? Does the ex-pope get a pension? What about his Twitter account? Will he still be infallible? Will he get a pension? All your papal questions, answered. Come March 1, should I call him Benedict XVI or Cardinal Joseph Ratzinger? Pope Benedict XVI stunned the world today by announcing his resignation from the papacy, effective Feb. 28. He will be the first pope to step down since Gregory XII in 1415. His resignation raises several questions that the Explainer will endeavor to answer—even though the near-unprecedented nature of Benedict’s decision means that in several cases, we’ll just have to wait and see. Should I still call him Benedict XVI, or does he go back to being Cardinal Joseph Ratzinger? We don’t know yet what name he’ll go by. Pope Gregory XII (born Angelo Correr) continued to be known as Gregory until his death in 1417. We also don’t know whether Benedict will become a cardinal again. He won’t automatically revert to being cardinal—he would have to be reappointed cardinal by his successor. There is some precedent for this to happen; Pope Gregory XII was appointed cardinal upon his abdication. Benedict will definitely remain a bishop until his death, since becoming a bishop is a sacrament, and even bishops who are removed from office aren’t stripped of that title. He’ll move to the Apostolic Palace of Castel Gandolfo, the pope’s summer residence. Castel Gandolfo is a resort town on Lake Albano near Rome. Afterward, he’ll move to a monastery of nuns in the Vatican. (At the moment, he’s waiting on renovation work at the monastery to be completed.) It’s unclear whether he’ll remain in the Vatican or move elsewhere (perhaps in his native Bavaria) once he’s concluded “a period of prayer and reflection” at the monastery. What kind of retirement benefits does the pope have? Does he get a pension? Since no pope has retired in almost 600 years, there is no formal retirement plan for popes. However, as a bishop (and possibly a cardinal), Benedict will continue to have access to the Vatican’s lavish healthcare plan and probably also to the private doctors who currently manage his medical treatment. The pope does not officially receive a salary, though his needs are seen to by the Holy See. Canon law requires each diocese to provide support and housing for its priests after they retire, though the details of priests’ and bishops’ pension plans vary from country to country. Will he have any say in choosing his successor? Officially, no. 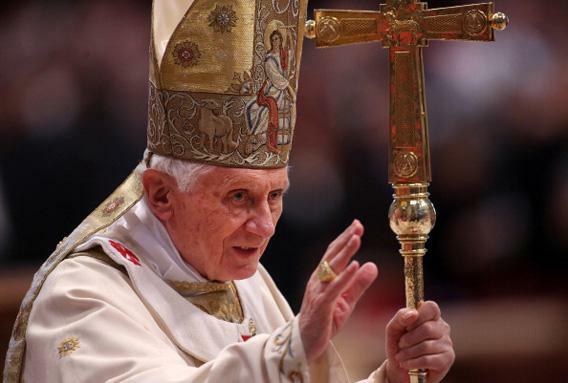 Pope Benedict XVI will not participate in the papal conclave to elect the next pope. (For one thing, as previously mentioned, he may not revert to being a cardinal. For another thing, he’s too old to take part in the papal enclave—only cardinals under the age of 80 may vote.) However, Pope Benedict appointed 67 of the 118 members of the College of Cardinals who are currently eligible to participate in the election of the next pope. This means that Benedict will have had at least an indirect influence over the election. Will he still be infallible? No—and in fact, he’s never been infallible. In accordance with the First Vatican Council of 1870, the pope is infallible only when he makes an ex cathedra statement—that is, a statement concerning “a doctrine concerning faith or morals to be held by the whole Church.” Most popes never make ex cathedra statements during their papacy; only one infallible statement (regarding the Assumption of Mary) has been made since the First Vatican Council of 1870. Pope John XXIII was quoted as saying, “I am only infallible if I speak infallibly but I shall never do that, so I am not infallible.” Pope Benedict XVI has never spoken ex cathedra, and he will lose the ability to do so once he resigns from the papacy. Will he maintain control of the @pontifex Twitter account, or will his successor inherit it? It’s unclear at the moment. However, when the Vatican was choosing a handle for the pope, @benedictusppxvi was considered and rejected in favor of the more general, less personal @pontifex. This would seem to indicate the Twitter handle is attached to the office, not the man. Additionally, though Benedict personally composed his first tweet on an iPad on Dec. 12 (not without technical difficulty), most of the tweets from his account have been composed by aides. Therefore, it’s likely that control of the Twitter account will remain with the Vatican rather than with Benedict. Explainer thanks Christopher Bellitto of Kean University.